FIND THE THINGS THEY USED TO MAKE RIGHT HERE. We owe a lot to the American architecture of the early 1900’s. 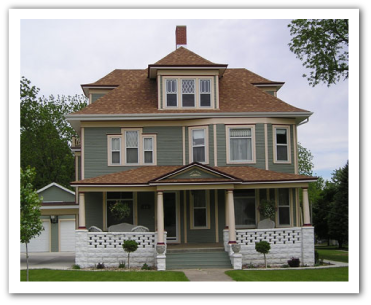 The style back then created an aesthetic that we still know and love to this day: decorative head and corner blocks with hand-carved designs, beveled glass doors, rich grains of wainscot, baseboard and trim. Accompany that with brass and glass doorknobs, ornate hinges, drawer pulls and more. Unfortunately, many of these items are hard to find, or lost in the past. That’s why ND MillWerk Salvage and Sales has made it our mission to keep vintage pieces from this era alive and well. In order to do that, we save old woodwork and hardware from old buildings on the verge of demolition. We’re left with beautiful doors, floors, hardware, built-in’s, accessories and furnishings, all available to our customers at a price that is both low and competitive. Add the charm, character and exceptional quality of vintage millwork to make a statement or to just enjoy. The genuine warmth and beauty of turn-of-the-century woods and accessories will enhance any home or office. Of course, this sort of interior design is a collaborative process, so please let our experienced team of salvagers know exactly what it is you’re looking for, and we’ll try our best to find it. For more information on our products, contact ND MillWerk Salvage and Sales today! 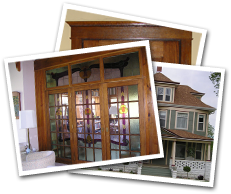 View the end results of incorporating our wonderful old products into homes and businesses across America. Thank you to our customers! We welcome your photos via email. See vintage additions, re-purposed, new construction and artistic masterpieces. See what we have in progress. Nelda and Denny have worked hard to acquire interesting items and to maintain a large inventory of vintage millwork of all kinds. Get a sneak preview of current and upcoming projects. We have over 10,000 antique products available!